Ha’Orev. First edition. Salonika/Vienna 1795. Upon the passing of the Noda B’Yehuda in 1793, a severe disagreement arose in Prague between his son and successor R. Shmuel Landau and two other Dayanim, R. Michoel Bacrach and R. Yaakov Ginsberg. 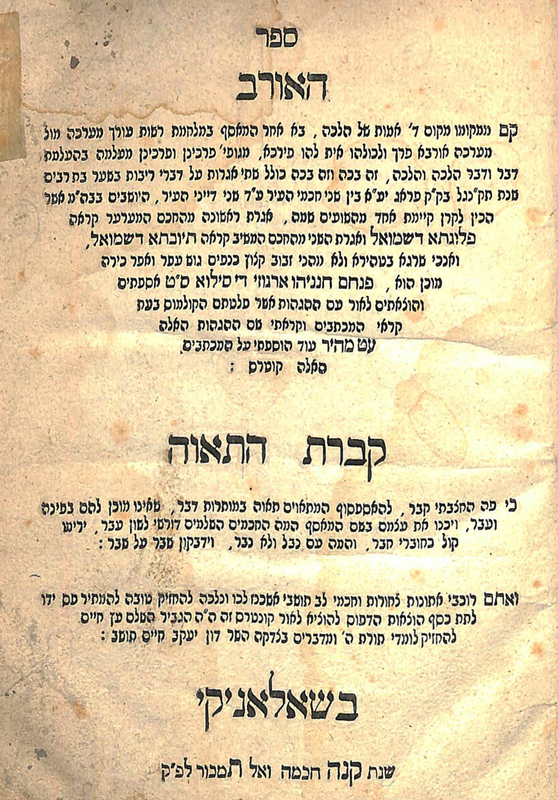 R. Shmuel Landau’s opinion appears under the title “Plugta D’Shmuel” whilst the opposing side is called “Tiyuvta D’Shmuel”. 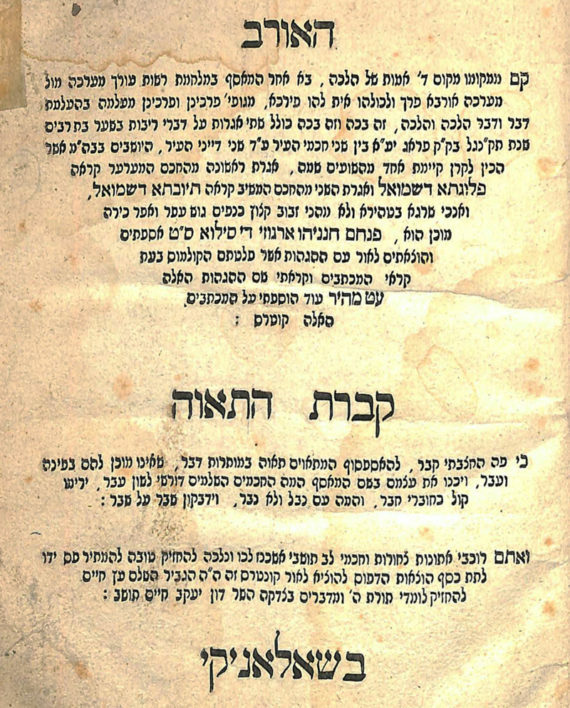 At the end of the book there appears an addendum entitled “Kivros Ha’Tavah“ strongly opposing the publishers of the periodical Ha’Meassef. Although the title page features the author as “Pinchos Chananya Argosi Di Silvah” and the place of publication as Salonika the polemic is generally attributed to Baruch Jeitles of Prague and most bibliographers believe it was actually published in Vienna. Vinograd Vienna 79. 20 pages. 21 cm. Good/Fair condition, some markings. Corner lacking to one page. Modern binding.